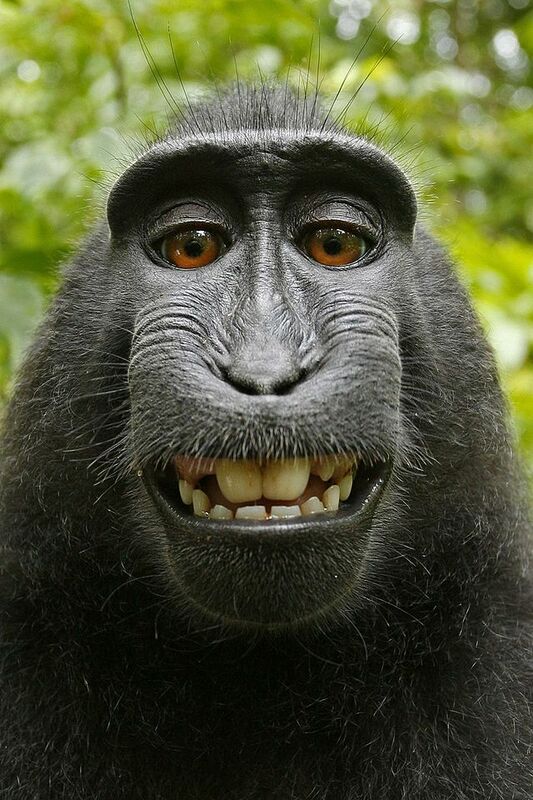 The report was originally released weeks after wildlife and nature photographer David Slater claimed that Wikimedia was infringing his copyrights in the “selfies” taken by macaque monkeys in Indonesia by allowing the pictures to be posted in Wikimedia Commons, a library of public domain photos. Wikimedia refused to remove the images because it believed the monkey was the photographer, and, therefore, the “author” of the photo…and, as non-humans can’t own copyrights, the photo was in the public domain. Slater argued that he staged the shot and set up the selfie intentionally, so it’s irrelevant that the monkey pressed the shutter (likening the monkey to an assistant). Although Slater is still claiming copyright ownership in the photos and could file a lawsuit against Wikimedia (as UK or European law may allow Slater to claim ownership if he employed “labour, skill and judgment” in connection with the photographs or they were part of his “intellectual creation”), he is currently offering free canvas prints of the monkey selfie and donating money to the Sulawesi Crested Black Macaques Conservation Programme for each print redeemed.